Included here are medications like acetylsalicylic acid ASA for example, Aspirin and acetaminophen ,for example Tylenol. Many people will try these first for their migraines, although they are not very effective for most migraine sufferers with more severe headache attacks. This is a large category of medications which work by blocking prostaglandin production in the body. Technically ASA belongs in this category. So does ibuprofen, naproxen, ketorolac, diclofenac, indomethacin, and others. All these drugs have trade names as well, so it can get a little confusing. Some are available without prescription ,ibuprofen, but most require a prescription. All can irritate the stomach if taken frequently. These medications are effective for many migraine sufferers, although they are often not enough for those with relatively severe migraine attacks. 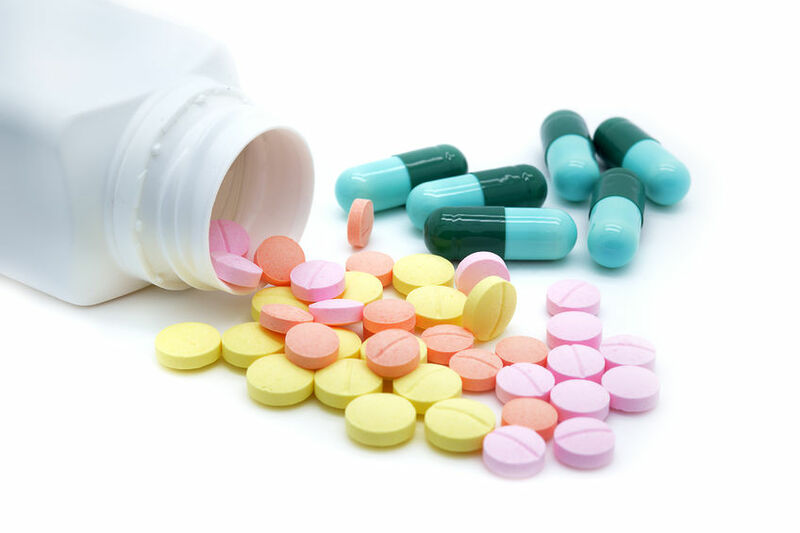 There are differences between the different NSAIDs. For example, the effects of ibuprofen wear off more quickly that those of naproxen because the body breaks down ibuprofen more quickly. So if one NSAID does not work all that well for you, it may be worth while trying another. There are a few of these available, for example Excedrin Extra Strength. Typically these contain ASA, acetaminophen, or both, combined with caffeine. The caffeine seems to make these medications work better. Note, though, that if you are taking quite a few tablets of these medications, then you may be taking quite a bit of caffeine. This can have side effects, like insomnia or feeling shaky, and will add to the effects of any other caffeine you may be taking through drinking coffee or soft drinks. This is a relatively new class of anti-migraine drugs. They are different from the other medications listed here in that they were designed and developed to treat migraine based upon what was known about migraine biochemistry. As a result, they do have some advantages over the other migraine symptomatic medications, especially if the migraine attacks are severe. Unlike the general painkillers and NSAIDs listed abover, the triptans are used only for migraine and a few related less common headache types. They are not general purpose pain killers. The triptans have been available in Canada for well over ten years, and have been proven to be very safe. They do constrict blood vessels to some extent, however, so they are contraindicated ,should not be used, in people who have heart disease and some other conditions affecting blood vessels. They are therefore available only by prescription, and it is important that your doctor know about your general health status. The triptans are also relatively expensive. This is an older medication which works in a way similar to the triptans. It does tend to have more side effects than the triptans, but can be very useful for some people with migraine. Because it is not well absorbed from the gastrointestinal tract, it is not available in a tablet form in Canada. It is available by prescription in an injectable form and as a nasal spray. Ergotamine is an older medications which work in a way similar to the triptans. It also tends to have more side effects, are available only by prescription, and like the triptans and dihydroergotamine, are vasoconstrictors. As a result it is contraindicated in some vascular disorders including heart disease. It is often difficult to find the best dose for a patient with migraine, and frequently people will get side effects like nausea at doses below that necessary to obtain headache relief. As a result, ergotamine is being used less and less since the triptans have become available. The opiates or opioids include medications like codeine, oxycodone, morphine, and other related medications. Some of them are also known as narcotics. These medications work through specific receptors ,opiate receptors in the brain and spinal cord. They are relatively powerful medications, and can lead to physical dependence and in some cases even addiction if they are taken frequently. The opiates are often combined with other pain killers like ASA or acetaminophen because the pain killing actions of the various drugs tend to add up and result in more pain relief. The â€œcombination analgesicsâ€, which contain opiates also often contain caffeine. Codeine is the opiate used most commonly in combination analgesics. In special circumstances, your physician may recommend an opiate medication by itself for headache treatment, like meperidine, oxycodone, or morphine. These are strong painkillers with many potential problems, and are not recommended for migraine except in unusual circumstances.